Keeping yourself in good health is important and with Metabolic Clinic & Research Center preventative medical steps are just around the corner. Patients in Boyle Heights and the Los Angeles area can receive the critical, medical screenings they need to remain healthy from Dr. Khan, a leading provider of internal and preventative medical care. Preventative medicine is a specialty which is concerned with the maintenance and protection of a patient’s health and well-being. These methods help to prevent diseases from developing and disability from occurring in addition to prolonging a person’s life. Practitioners of preventative medicine employ their knowledge and training to promote optimal health among individual patients, communities and populations. There are three sections of the population which preventative medicine addresses: aerospace, occupational, and the public/general health. What Are the Differences Between the Groups? Aerospace Medicine- The care, research, and support of passengers and the crew on board a space or air vehicle. These individuals will have to deal with unique health challenges and circumstances because of the type of work they do. Doctors who specialize on aerospace medicine aim to assist those people with performing at their best and avoiding any health complications which can arise in these environments. Occupational Medicine- The health and welfare of workers as well as the safety of the workplace environment is the focus of this group. The goal is to prevent injury, disability, and illness from occurring because of an occupation. Public and General Preventative Medicine- Promoting health, preventing injury and disease, and general wellbeing of people and communities is the goal of this grouping. These doctors are able to help an individual patient or the general public. What Services Are a Part of Preventative Medicine? Services which are a part of preventative medicine include annual physical exams, medical health screenings, general laboratory tests, and reproductive health exams. The goal is to prevent a disease or condition from occurring by ensuring that the patient’s body is functioning as best as possible. 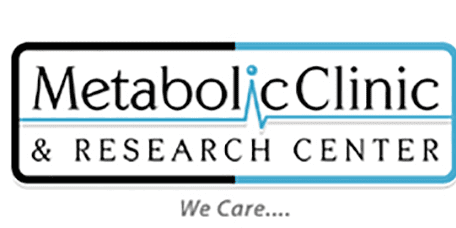 The Metabolic Clinic & Research Center provides numerous preventative measures to make sure that each patient experiences a long, healthy life.